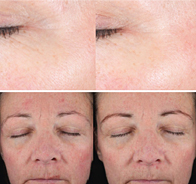 Kabuki: Designed to blend away lines, redness and pigmentation. This compact brush works with all skin types for all-over application and is recommend for applying Mineral Skincare for even coverage of antioxidant and SPF protection. For moderate to full coverage. 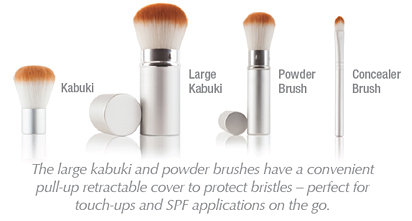 Large Kabuki: Super-soft, full-size brush that helps create a flawless application of Mineral Skincare on the neck and décolletage, and is perfect for easy, on-the-go reapplications for the full face. For light coverage. Powder: Designed for the application of Finishing Touch to help minimize the appearance of pores and fine lines. Concealer: Offers concealing properties for areas where additional coverage is needed. For full coverage. Angela is the first person that our clients meet and she is committed to providing you with excellent customer service each time you call and see us. Angela is highly trained in administrative management and market research in the medical industry. She has also worked for an international beauty therapy company. Angela assists all of the Lavish team members and her friendly welcome ensures that every client enjoys their experience when making an appointment or visiting our professional clinic. Susan started her career in the industry working with a plastic surgeon twenty years ago doing pre and post operational care for Surgical facelifts. This inspired her to move to Canada in 2000 to pursue formal training with a world renowned medical technology company. In your initial consultation meeting Susan, you feel her warm and sensitive presence. Susan provides comprehensive consultations to ensure the best outcome for her patients. 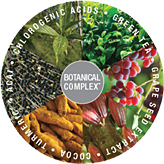 She will suggest a treatment plan or protocol which is designed especially for you. Your tailored consultation and treatment plan is complimentary and obligation free. Dr Gary Liew is a fully trained and qualified Plastic and Reconstructive Surgeon and has been in practice for more than 20 years. As well as practicing in Australia, he worked for two years in England and in general surgery in New Zealand for two years. Dr Liew consults at the Epworth Eastern Medical Centre, a state of the art private hospital in Melbourne’s Box Hill, as well at Knox Surgicentre and the Rosebud SurgiCentre. He also consults to the Lavish clinical team in Mooloolaba at the Sunshine Coast, treating Lavish clients at Gympie Private Hospital and Noosa Private Hospital. A surgeon for 27 years, Gary worked in public health for more than 20 years while also running private clinic, then chose to specialise in plastic surgery. He was also a trainer and mentor for new surgeons for many years. Whilst working in the public system Gary treated patients for a range of plastic surgery, including facial, trauma, soft tissue and general reconstruction, as well as hand surgery and micro-surgery reconstructions. The Australian Society of Plastic Surgeons, The Australian Society of Aesthetic Plastic Surgeons and The Australian Hand Surgery Society. 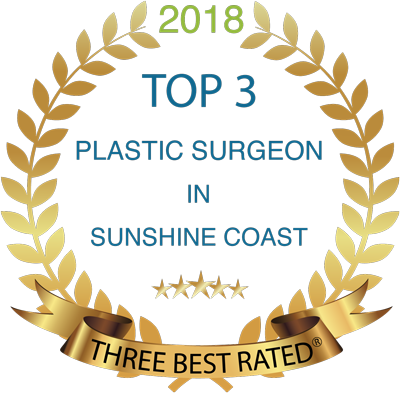 Dr Jayne Bambit from Lavish Cosmetic Surgery Clinic recognises the demand for caring and committed professionals in the Cosmetic Surgery & Medicine industry. Dr Bambit has extensive experience in Cosmetic Surgery procedures and has trained with prominent Cosmetic and Plastic Surgeons in both Australia and the United Kingdom. She is a respected Fellow of the Australasian College of Cosmetic Surgery. As one of the few female doctors in Australia with experience in Cosmetic Surgery, Dr Bambit understands and can relate to the concerns and issues that all women experience. The decision to have Cosmetic Surgery is very personal and each person has particular aims, goals and expectations. Dr Bambit takes the time to listen to her patients, providing guidance and advice according to their individual needs. Dr. Jayne Bambit is a Fellow of the Australasian College of Cosmetic Surgery and is certified by the College to perform Cosmetic Surgical procedures. 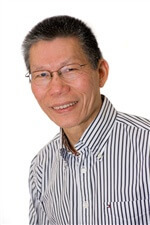 Please visit the College’s website at www.accs.org.au should you wish to review Dr Bambit’s credentials.